This week we are celebrating Dr. Seuss. Everyday I have a snack that the children can “make” that is related to Dr. Seuss. It has been a huge hit! All of them are super easy – that is my requirement! The negative side is the sugary nature of the snacks. Oh well, every now and then we go down that tunnel! Cat in the Hat's Hat! All you need is extra large marshmallows, frosting tinted with red food coloring, and popsicle sticks. I gave each student a spoonful of frosting in a little dixie cup. They painted it on in stripes. So fun! (This reminds me of when I was a girl scout leader and took my troop “camping” at Embassy Suites. This is definitely not the same as cooking the eggs and hams but sometimes the easy way wins! What you need: sugar cookies, frosting, green m&ms and popsicle sticks. 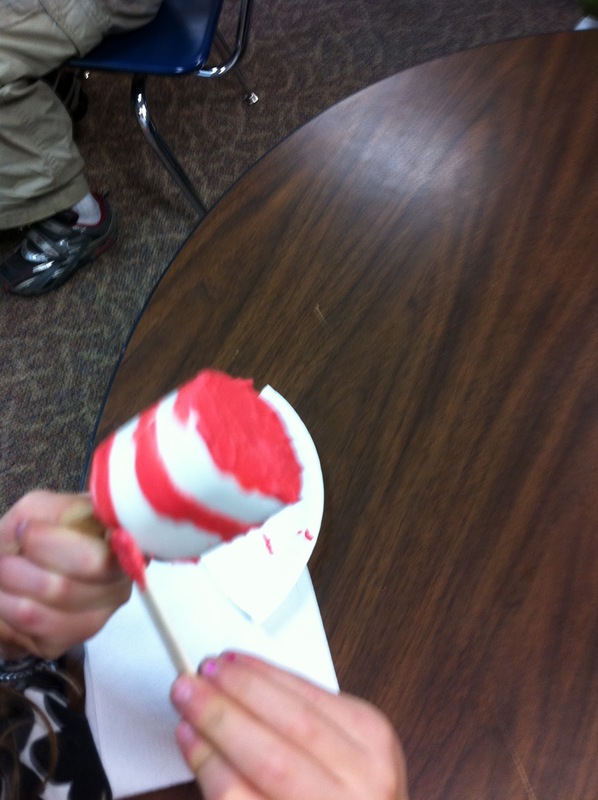 The children spread the frosting with the popsicle stick and put the m&m in the middle. What you need: Mini-cupcakes, large pretzel sticks, and cotton candy. Simply press pretzel into cupcake, and press a piece of cotton candy on top of pretzel! The children loved this! So dang cute! FUN!!! 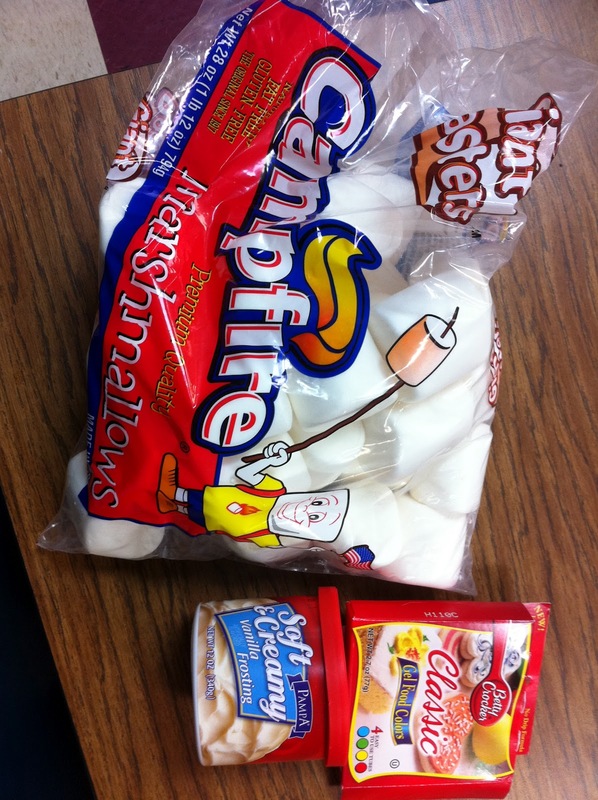 Thank you for the snack ideas…we’re doing a big Dr. Seuss day tomorrow and I needed ideas! Too cute! I was planning on doing the Grenn Eggs and Ham snack almost exactly the way you posted them.. I am going to use Nilla Wafers and a white chocolate kiss and the green M&M. I will make them ahead of time by microwaving the kiss and adding the M7M. Hope it works!